Fischer Connectors displayed a number of new products at the Defence and Security Equipment International (DSEI) show in London in mid-September as well as at the Milipol show in Paris in November, with an aim of cutting space and boosting performance in the military market. The first of three new products on display was an ultra-miniature USB 3.0 connector for the Fischer MiniMaxTM Series. The dedicated USB 3.0 contract block is in the 08 size, representing a receptacle of 12mm. The ultra-miniature and rugged Fischer MiniMaxTM Series, which combines power and signal contacts and is IP68 sealed (also unmated), is now available in USB 3.0 in its 08 size. The USB 3.0 variant is the latest addition to the broader MiniMax line. MiniMax aims to increase the performance of miniature rugged devices, “handling more mixed signal and power connections in a unique combination”, according to the company. The system is designed with size, weight and power (SWAP) reduction in mind, as it saves design engineers up to 45% in space and cuts weight by up to 75% when “compared to standard connectors with a similar contact size”, the company states. 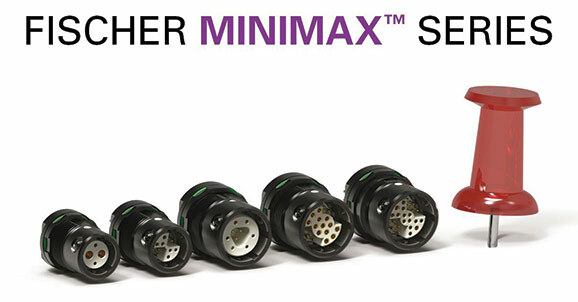 According to Fischer Connectors, MiniMax “is ideally suited for handheld or body-worn applications when space is limited; it provides more functionality into smaller devices and lowers the total cost of ownership”. The MiniMax series is in two sizes: as well as 08, it also comes in 06, which has a receptacle of 10mm. It is tested for high-speed protocols, the company says, including the new USB 3.0, HDMI and data transfer of up to 10GB/s. “The series also addresses the growing market need for higher data transmission rates,” according to the company. The second innovation shown at DSEI and Milipol was an extension to the Fischer UltiMateTM series, which now comes in two power configurations. The Fischer UltiMateTM Series has been extended with two power configurations. “The UltiMate series offers rugged, compact, lightweight sealed connectors and cable assembly solutions ideally suited to withstand a variety of severe environmental, industrial and chemical conditions,” Fischer Connectors’ Product Manager Wim Vanheertum says of the product, noting that it comes with EMC 360° shielding, “extremely robust keying and an IP68/69 sealing, even unmated”. 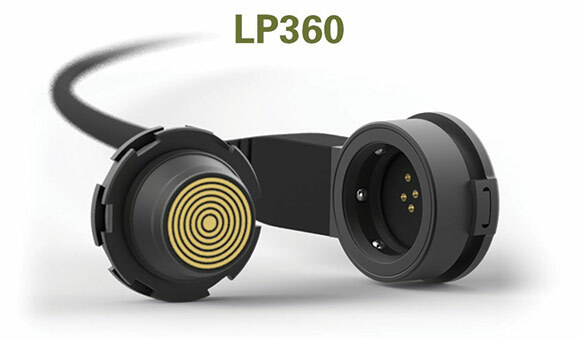 The company also previewed its LP360 wearable connectivity technology solution at the shows. 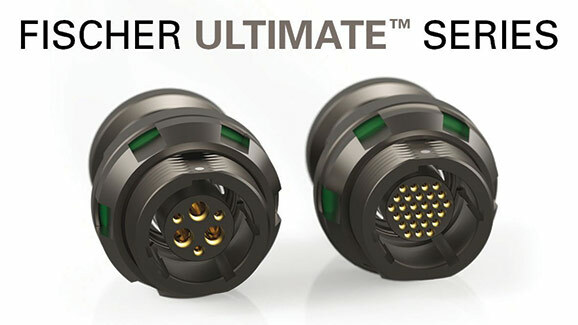 “This rugged, lightweight, low-profile connector offers 360° mating freedom to optimize cable management, allowing for easy integration into clothing,” Wim Vanheertum reveals. showcased as a preview at the DSEI and Milipol tradeshows. The LP360 eliminates the key code, meaning it can be plugged and routed in any direction, ensuring that the cable can always go straight to the device. The system is fully cleanable on the receptacle and plug side, and “is easy to use and maintain with a faster set up and improved durability”. “In close partnership with its customers, Fischer Connectors continues to push the boundaries of connectivity to address design engineers’ need to minimize space and maximize performance in their devices used in dismounted soldier, ground, aerospace and marine military applications,” the company said. Fischer Connectors has an overall goal of transforming market trends into solutions. The goal is to enable design engineers to make their devices smaller, faster and smarter by designing innovative connectors and cable assembly solutions which fulfil their growing needs, in a number of areas, such as miniaturisation to further reduce space, costs and weight, and ultra-fast and reliable data transmission. The company also points to the importance of sealing and ultra-ruggedness to protect equipment against environmental factors such as corrosion and temperature, as well as usability and wearability “to design solutions which can be easily used in the field”. Fischer Connectors has been designing, manufacturing and distributing high-performance connectors and cable assembly solutions for more than 60 years. Known for their reliability, quality and resistance to extreme environments, Fischer Connectors’ solutions are used in fields requiring faultless quality, such as defense & security, medical, industrial, instrumentation, audiovisual, transportation and energy. 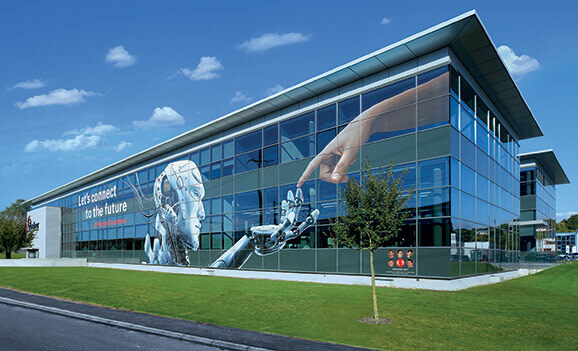 The Fischer Connectors Group’s head office is in Saint-Prex, Switzerland (Canton of Vaud), where the Research & Development Center and its manufacturing facilities are located (photo). The Group has an international presence with its subsidiaries and a wide network of distributors and agents, as well as its cable assembly sites in Europe, the United States and Asia.